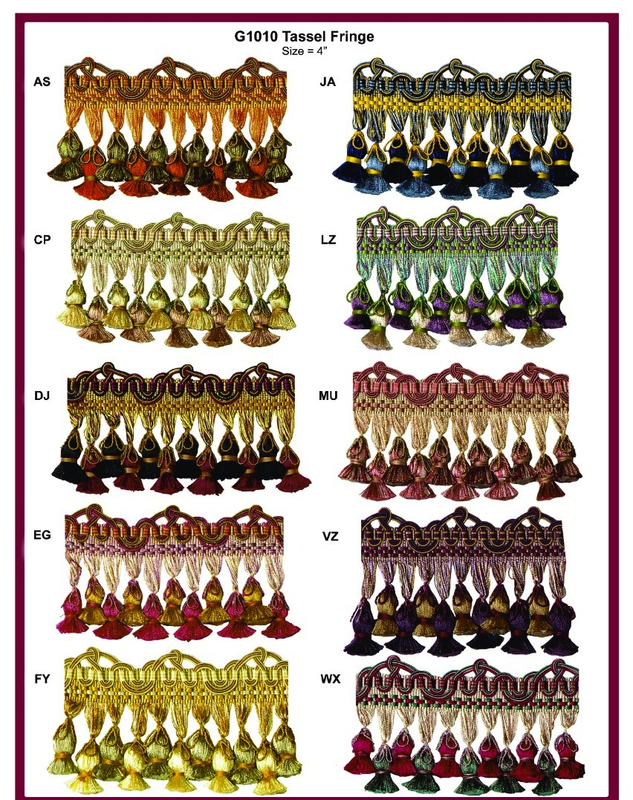 D’Kei’s Vintage Collection by Jamie Gibbs is an exclusive collection of formal, classic trimmings in 10 colorways. 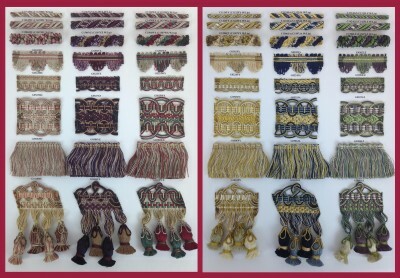 The Vintage Collection is an extensive offering of decorative trimming components for your high-end trim projects. 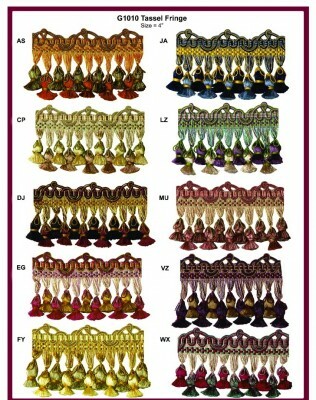 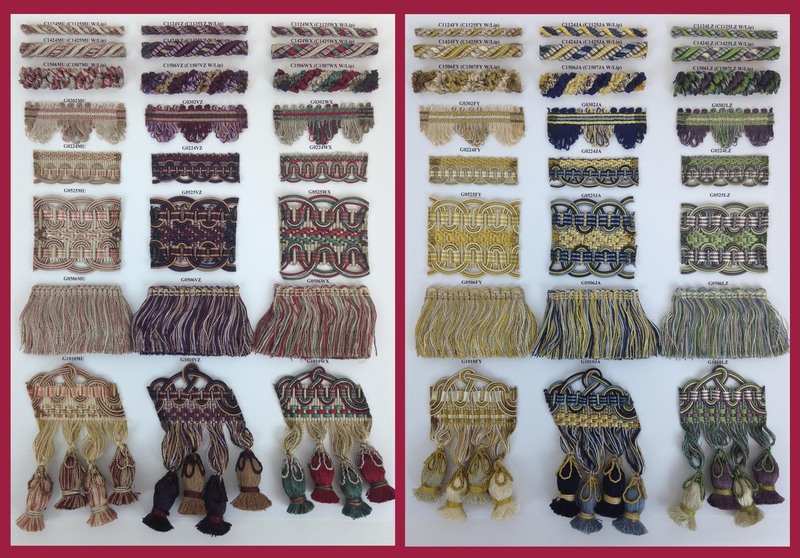 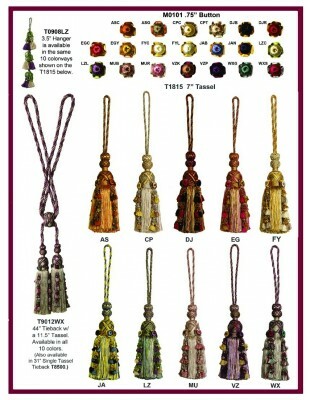 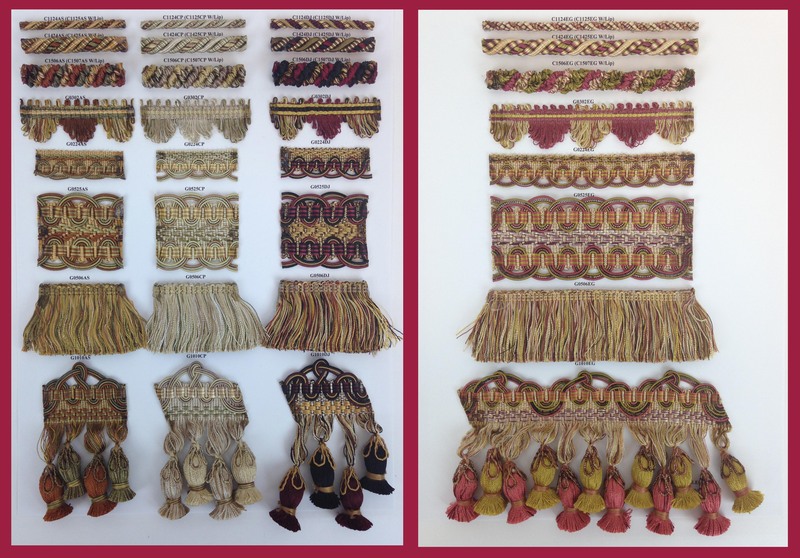 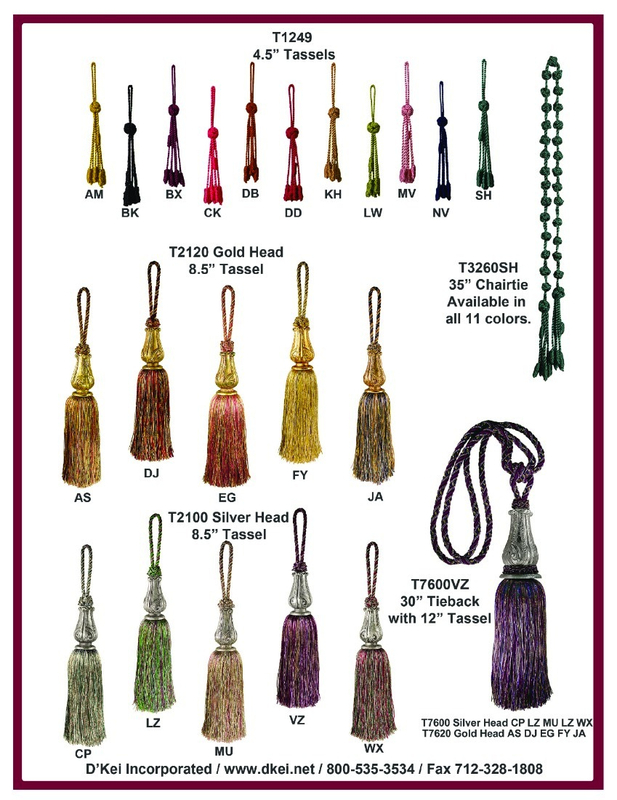 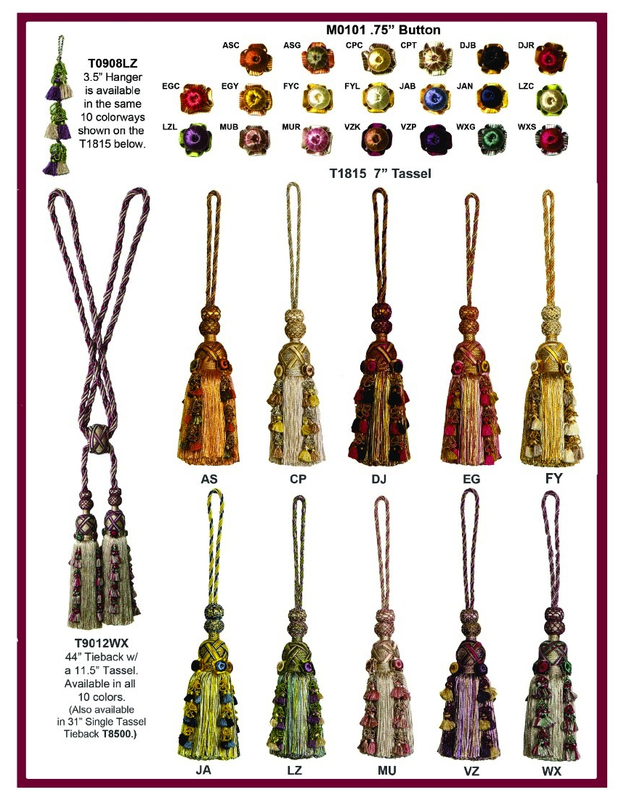 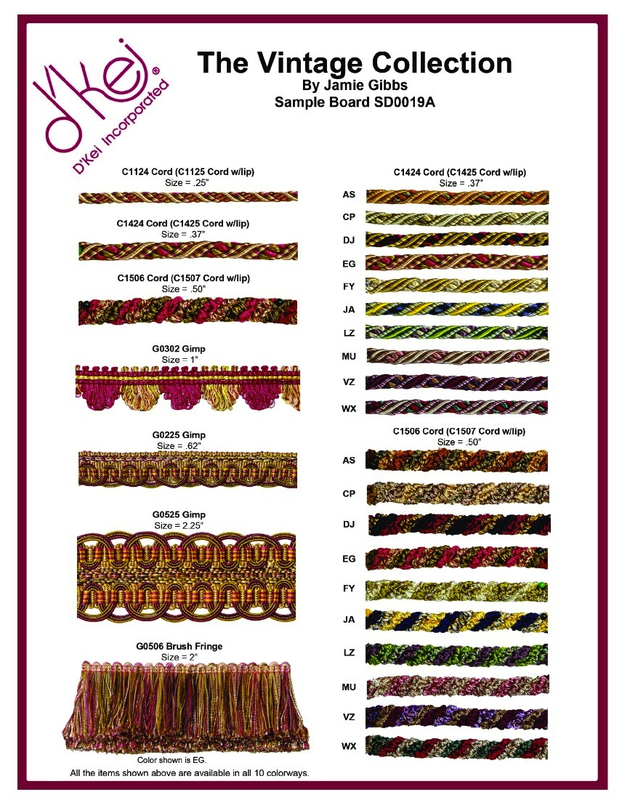 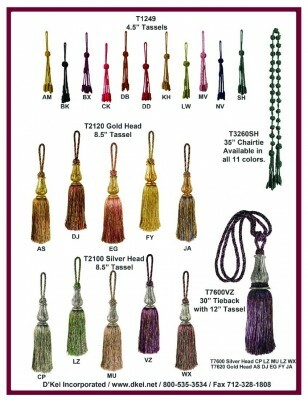 Featuring exquisite hand-wrapped tulip tassel fringe, intricately detailed wide woven gimp, scallop fringe, scrunchie loopy cording, 3/8″ cording and 1/4″ cording; the Vintage Collection also offers an array of choices for fancy designer drapery tiebacks and large tassels as well as button rosettes.